Three halves, no refs: football3 is a different way of playing football that is changing lives around the world. With a focus on inclusion, equality and teamwork, it empowers young people with the skills they need to flourish off the pitch. In mixed-gender teams, players collectively decide on the rules before kick-off. They then come together again after the the final whistle to reflect on their behaviour, with points awarded for not only goals but also fair play. In the absence of referees during matchplay, players must also learn to resolve conflicts themselves through dialogue and compromise. With support from the Coca Cola Foundation, streetfootballworld launched football3 bewegt in 2015. 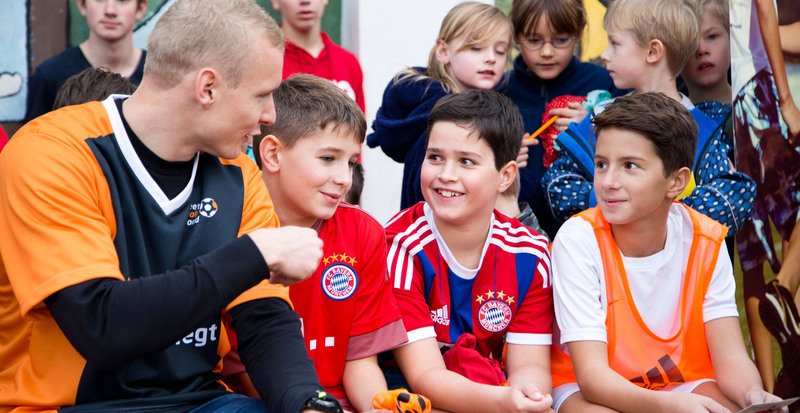 The two-year programme will introduce football3 to 250,000 young people from disadvantaged communities all over Germany. It will also allow junior coaches and street workers to connect with youth throughout the nation and empower them with skills that transcend the boundaries of the football field. For more on methodology, be sure to check out the football3 handbook. "football3 builds confidence in young people and equips them with vital life skills. I'm proud to be part of this initiative."